After all the upheaval and division during his lifetime, peace and stability were his likely goals. 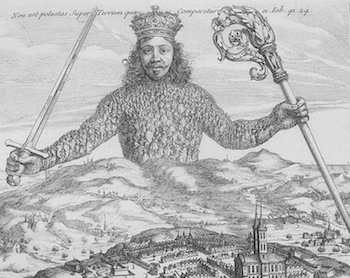 But Thomas Hobbes gave life to a monster when his work Leviathan was published in 1651. Hobbes’ depiction of the state as an irresistible strongman whose subjects live in fear and awe has become a popular template for power seekers. Hobbes believed that man’s natural hatreds and appetites would have us living in violent chaos if order weren’t imposed from above. This type of law amounted to little more than the will of a ruler. Moral limits to leviathan’s power were considered unnecessary. The people would obey out of a sense of fear rather than moral duty. Our modern leviathan loves to remind us of its irresistible power. Its buildings, bureaucracies, propaganda, and willingness to squander the fruits of the labors of others are public reminders of its might. The state loves to parade the symbols of its power with a panache that would make a Soviet commissar blush. But resistance is far from futile. As we’ve recently seen, when leviathan clamps down too hard, the people find ways to avoid its coils and to negate its influence. And instead of devolving into the blood-soaked chaos that Hobbes feared, something far more powerful occurs — the market finds a way through innovation. Max Borders and Jeffery A. Tucker recently weighed in on the remarkable shift that is taking place globally. Their article is titled “50 Ways to Leave Leviathan” and it is definitely worth a read. To illustrate the kind of diminishing returns making the state less and less relevant, Borders and Tucker point to our rapidly atrophying Post Office. They note that thanks to the Information Age, we have far better, and cheaper, means of communication. Those with a Hobbesian bent will likely find their noses out of joint at the thought of people acting without official permission. The fact that they are powerless to stop such acts means that the rest of us will have to resist the urge to delight in their discomfort. Here are just a few examples of how leviathan’s dictates are being flouted at every level of our society. Airbnb is a service that allow people to rent out their homes for a few days without having to become embroiled in union politics, zoning issues, or other parts of the regulatory apparatus. With over 34,000 places to stay in 192 different countries, it’s clearly a hit with travelers. Likewise, Uber is allowing individuals to bypass the taxi cartel by allowing them to book rides in clean vehicles with drivers who are rated by reputation. With increasing encroachment of government into healthcare, more physicians are refusing to accept health insurance and are providing low cost concierge care. This allows them to contract with a limited number of patients for a modest monthly fee that provides virtually unlimited contact with their doctor, free medical testing, and even house calls. By purchasing a catastrophic care plan; a person can have their healthcare without having to jump through leviathan’s hoops. It’s worth learning specific ways to individually reclaim our personal freedom as well as to catch a glimpse of the power of innovation and the market in solving problems. We don’t have to confront leviathan head on to secure our natural rights. Too many innovators have already shown that, no matter how immutable some consider the state, the market will always find ways to free us from its grasp. 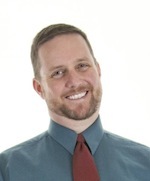 Great article Bryan! More and more people are having a hard time seeing any light in all the darkness. Seeing this kind of innovation gives me hope that freedom will find a way. Yes, this hits the nail on the head. Protesting and writing letters to one’s congressman are effective ways to changing nothing. The only way to overcome Leviathan today is to walk away. Quit depending on her and become self-sufficient. It seems to me that if we are ever to be truly free men then we must become independent of Leviathan’s banking system and acquire sufficient means of force within us that we might be able to protect ourselves from her forces. Bryan, I love your article. It sounds really familiar. WE DID NOT NEED TO KILL THE HORSES AND CARRIAGE TO GET THE AUTOMOBILE! For those of us that are not so aware of the examples you give, I think of the creativity in pumpkin carving today compared with the conformity sameness I grew up with. Also, when I was introduced to the Be Your Own Banker idea a few years ago, I was thrilled with the idea of getting my money out of the banksters hands. I cherish these ideas in order to see hope for our future! BUILD FREEDOM!